Murderer of 19 year-old IDF soldier Eden Atias, hy"d, convicted on murder charges; sentencing to be handed down at a later time. 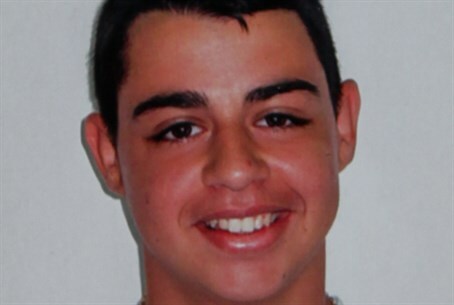 The Samaria Military Court convicted 16 year-old Palestinian terrorist Hussein Rawadara, a Jenin native, over the murder of 19 year-old soldier Eden Atias hy"d in November, Walla! News reports Monday. Rawadara stabbed Atias multiple times in the neck and chest near the Afula central bus station last November, in a premeditated terror attack which raised serious questions over the level of security on public transportation in Judea and Samaria. The young terrorist had proudly boasted that he "wanted to kill an Israeli soldier," further causing outrage over the hot-button issue of school-sanctioned incitement in the Palestinian Authority (PA). The cold-blooded murder triggered outrage in Israel, with angry demonstrators taking to the streets of Afula in protest shortly after the killing. Rawadara's indictment was announced in December, and his hearing was held behind closed doors. According to the indictment, Rawadara, from a village near Jenin in areas controlled by the Palestinian Authority, had been sent by his parents to find a job in an Israeli city. He did not have a resident or work permit. He said he had searched for work in a number of places, including Arab towns such as Um el-Fahm, but was unable to find a job, as employers feared to hire an illegal worker lest they be caught and fined heavily by authorities. He decided at that point that he would undertake a terrorist attack, to protest his own situation and what he called the “neglect of prisoners by Israel and the PA,” the indictment said. He said that he was fully aware of what he had done. He chose Atias, he said, because he had been sitting alone and remained on the bus when other soldiers and border guards got off in Afula. On Monday, Atias's mother specifically requested that, despite the gag order, the conviction be publicized - and the Israeli security forces and media complied. Rawadara's sentencing will be handed down at a later date which is yet-unspecified.